The opening meetings of Chepstow, the Kerry National and Cheltenham in October seem a distant memory. Much has passed and there have been wins, losses, great stories and life long memories made. Without doubt, this season will be remembered most for the achievements of Tiger Roll. Gordon Elliott’s pocket sized Hercules of a horse has laid all before him. Cantering to victory in a Boyne Hurdle, winning at Cheltenham for a 4th time without even breaking sweat and then delivering a performance at Aintree that has done more for racing than perhaps even the great Red Rum 40 years before him. At a time when our great sport is ever more in the eye of public scrutiny, Tiger Rolls effortless style of running and enthusiasm for his racing has helped to showcase racing to the wider public on it biggest day of the year. If anything, he is improving with age, and if, IF, he lines up at Aintree next season, he has the chance to become a National Hero and legend on both sides of the Irish sea that will be remembered long after those who have seen him jump a fence are gone. Away from Tiger Roll, this season has also highlighted the widening gulf in the training ranks. The Titanic Clash between the Power Houses of Gordon Elliott and Willie Mullins has dominated recent seasons in Ireland. 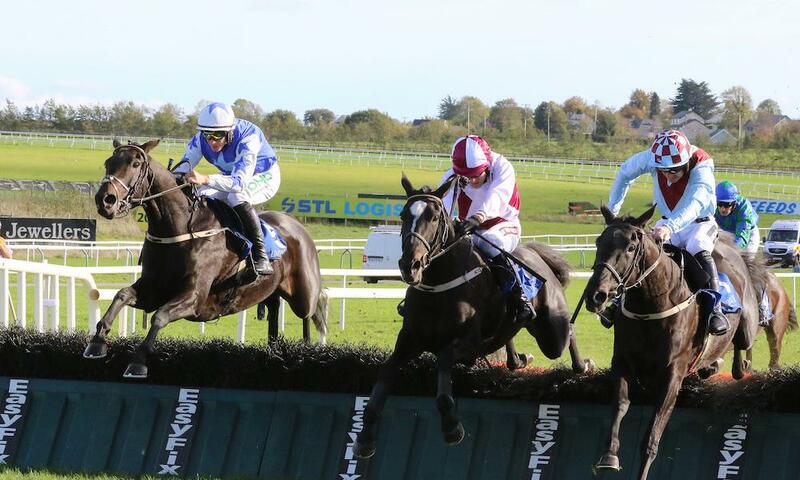 A season long battle for the Trainers title that has culminated in an epic tussle at Punchestown’s season finale, this year is likely to be no exception. However, this year a similar event has taken place in Britain as well. 2018/2019 will also be remembered for the resurgence of Paul Nicholls Ditcheat yard. 12 months ago, this once all conquering yard seemed to be in the doldrums. Nicky Henderson had swept all before him, wining a King George, a Champion Hurdle and Champion Chase, without a Paul Nicholls horse even in the frame. Buveur D’Air and Altior were leading a dominant string that seemed untouchable and by early march the trainers’ title was already sewn up. In May 2018, odds of 1-2 for Henderson to retain the trainers’ title seemed to represent fairly good value, but the Nicholls team had other ideas. Initially, not much seemed to have changed, the Henderson team delivered a Fighting Fifth and a Tingle Creek and normal service seemed to have resumed. Then, on a cloudy and dull Boxing Day, things seemed to change. Clan Des Obeaux, long touted as a future star by his trainer, delivered on the promise with an outstanding win in the King George at Kempton. Whilst many will pull the form apart (an ageing Thistlecrack close behind in 2nd is always a starting point for such criticism), the fact remained that Paul Nicholls had won the biggest staying chase away from Cheltenham. As he had done before with the great Kauto Star and later Silviniaico Conti, he had unearthed another worthy of the top table. Move forwards 2 months and Cyrname duly delivered the highest rated performance of the season, running his rivals ragged at Ascot to make him the top rated chaser in training (in the British handicappers opinion at least). At Cheltenham the battle rolled on, Nicholls won an RSA and a Ryanair, Henderson replied with a Champion Chase and the Triumph Hurdle. All outstanding wins in their own right, but the tide was definitely on the turn as the Nicholls band wagon seemed to roll out one successful Saturday after another. By the time Aintree came around, Henderson had already accepted defeat in his effort to retain the title. A well deserved victory to be sure, but underneath this, there is perhaps a more worrying concern for racing. As the Premier League is criticized for being split, between the top 6 and the rest, racing is suffering a similar dilemma. The ever-widening gap, between those at the top and those at the grass roots is becoming more and more obvious. Now within the season, there have been stories of smaller yards having success. Emma Lavelles dominance of the staying hurdle division with Paisley Park for example. But the fact remains that the elite has in the majority, won the top races. The Tingle Creek, the King George, the Champion Chase, the Gold Cup and the Grand National have all been won by those at the very top. The young emerging talent, Dan Skelton, Harry Fry, Olly Murphy and the like are without doubt making some progress. However, the fact remains that potential owners getting into the sport do not dream of winning handicap hurdles at Uttoxeter. They dream of Gold Cups, Champion Hurdle s and Grand Nationals. Racing is not Football. It does not have TV Money, huge sponsorship deals, Global branding and financial fair paly rules to assist those at the bottom. There are no sudden changes to the regulations that the BHA can introduce to suddenly level the playing field. In 2019, Gordon Elliott had 25% of the Grand National Field. Now in reality, given Tiger Rolls performance, he would have won even without the other 9 from the yard. But that perhaps masks the point. Part of the charm of racing is the opportunity for romance. The opportunity for the little guy to win. Everyone studying a racing post on a Saturday before parting with some of his or her hard earned money on a Lucky 15 has a dream. A dream of picking 4 winners and changing their life forever. If, in years to come, there are only 5 or 6 trainers on a racecard instead of 50, some of this romance and magic may well be lost. It is very hard to say what the solution to this is. There are ideas banded about of limiting owners and trainers to a certain number of runners, etc. Ultimately, as with so much in life, this comes down to money. Those with the biggest pocket books but the best horses and send them to the best yards. The top yards then win the top races and the circle gets tighter with each passing year. If Racing were to lose its charm in this way, its future would most certainly be darker for it.